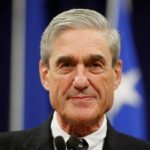 This morning Palmer Report wrote “Here comes the part where Robert Mueller really screws Donald Trump.” Now that Mueller had backed Trump and Putin into a corner by indicting the Russian government hackers who screwed with the election, they would use their summit to plot their next move, and then Mueller would quickly throw them a curveball in order to render their plans irrelevant. Sure enough, Mueller just arrested Maria Butina. You may or may not recall her name, but she plays a crucial role in the Trump-Russia scandal. Robert Mueller (technically the FBI, but in this context it’s a distinction without a difference) arrested political operative Maria Butina yesterday on charges of conspiring to act as an unregistered foreign agent of Russia, just as the summit was about to kick off in Helsinki, and waited until today to announce it. No, we didn’t know this specific move was coming; in fact we said this morning that arresting Roger Stone today would be too expected, and we should instead expect something less expected. This fits the bill. Butina is a conduit between Trump, Russia, and the NRA – and she may be in position to expose the money trail involved. She also has an eye popping connection to the very start of Trump’s presidential campaign. Back in 2015, Donald Trump called on Maria Butina during a press conference. She asked what Trump would do about U.S. sanctions against Russia. Trump responded by saying sanctions weren’t necessary. Now we know that Butina was (allegedly) working for Putin, and asking the question on his behalf. Did Trump know he was calling on a Putin representative at that press conference? Was this his way of informing Putin that he would remove sanctions if he were elected? Was it Trump’s way of asking Putin for help in the election? Maria Butina surely knows some or all of these answers. By the way, she also met with Donald Trump Jr during the election, in case this all needed to be even more incriminating. Will Butina cut a plea deal? Robert Mueller is clearly hoping so. She can help bust this piñata wide open. But as for the reason Mueller arrested her while Trump was holding a summit with Putin: the answer is simple: Mueller is screwing with them both, not only to keep them off their game, but to make a statement to the world about how he’s turning up the heat. The spies were Friday. Butina is today. What about tomorrow?